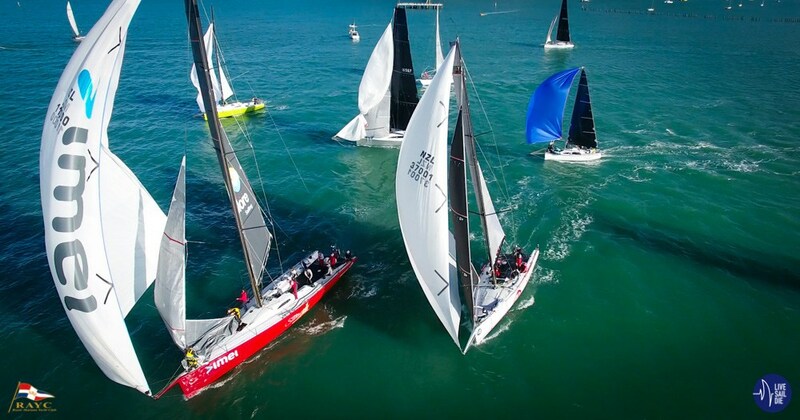 This Category 3+ race is new to the impressive line-up of endurance races hosted by Royal Akarana Yacht Club. Leaving Rangitoto Island to starboard, Channel Island to starboard, Karewa Island Group to port, Poor Knights Group to port, Sail Rock to port, and finishing at Orakei, the fleet of 15 got away in near perfect conditions on 22nd November. 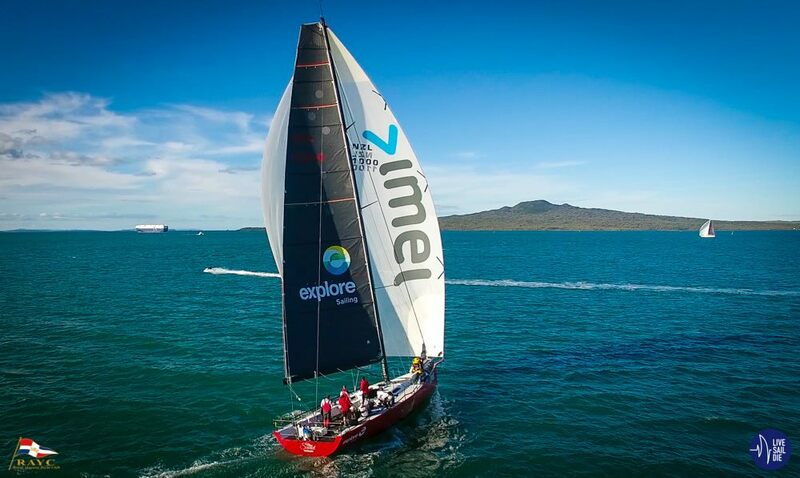 With a 10-12 knot westerly pushing them out of the harbour and into the Rangitoto Channel under spinnaker, Miss Scarlet was among the front runners from the starting gun. Ably skippered by William Goodfellow, imei’s Miss Scarlet charged through the waters, leaving most of the fleet in her wake. Gliding like a goddess, Miss Scarlet was a majestic sight to behold in full flight. Yet, it was the sprightly Elliott 50 Ran Tan II who got away to an early lead. As the near perfect conditions gave way to intense, soaking rain Ran Tan II was able to hang on to her early lead. In the end, she took line honours and in doing so, she created history: the inaugural Akarana 350 race record of 1 Day, 16 Hours, 19 Minutes, 14 Seconds. A very worthy second, Miss Scarlet came in at 1 Day, 21 Hours, 38 Minutes, 08 Seconds just ahead of Anarchy in 1 Day, 23 Hours, 28 Minutes, 22 Seconds.